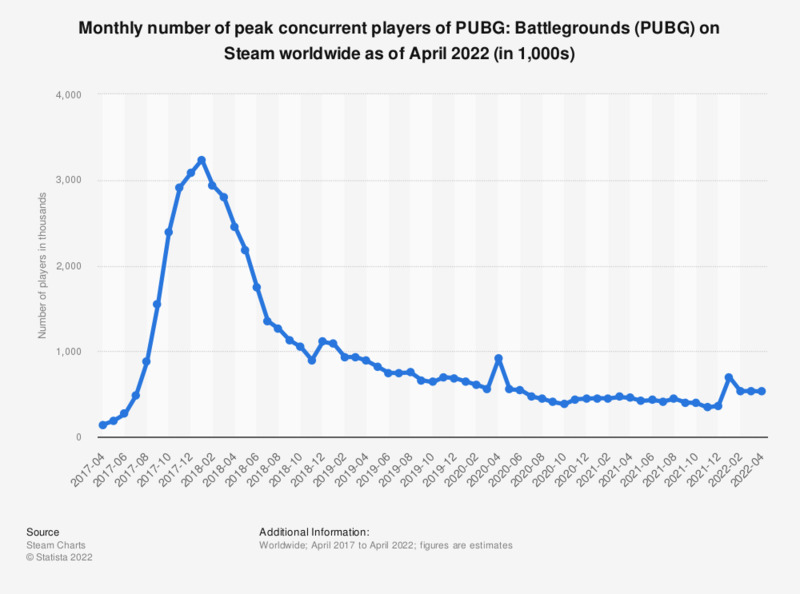 The statistic shows information on the number of peak concurrent players of PlayerUnknown’s Battlegrounds (PUBG) on Steam worldwide from April 2017 to February 2019. According to the source, the game had a peak of over 931 thousand concurrent players in February 2019. The highest number of concurrent players was recorded in January 2018 at 3.24 million.